Seventy-one years ago today the United Nations passed Resolution 181 (embedded below) which called for the partition of British-ruled Palestine into a Jewish state and an Arab state (back then Jews living in the Holy Land were called Palestinians). It was approved on November 29, 1947, with 33 votes in favor, 13 against, 10 abstentions and one absent (see the end of the post for who voted what). The original partition resolution passed by the UN in November 1947, did not call for the establishment of a state of Israel. 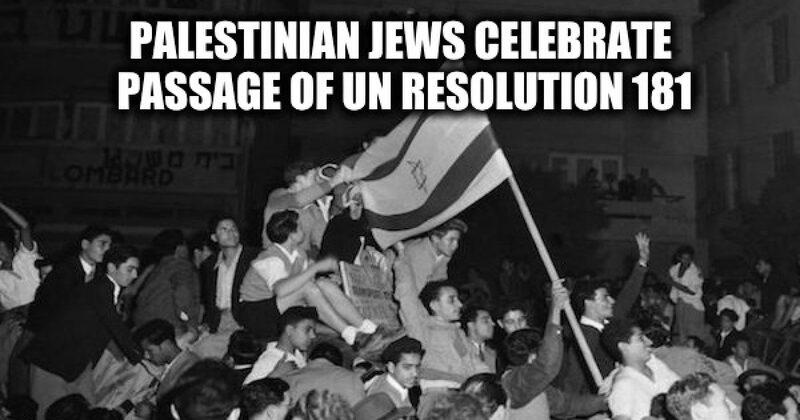 UN Resolution 181 called for dividing Palestine into Independent Arab and Jewish States. Below you will find a video explaining the passage of UN 181, the vote by country, and an actual copy of the resolution passed seventy-one years ago today.